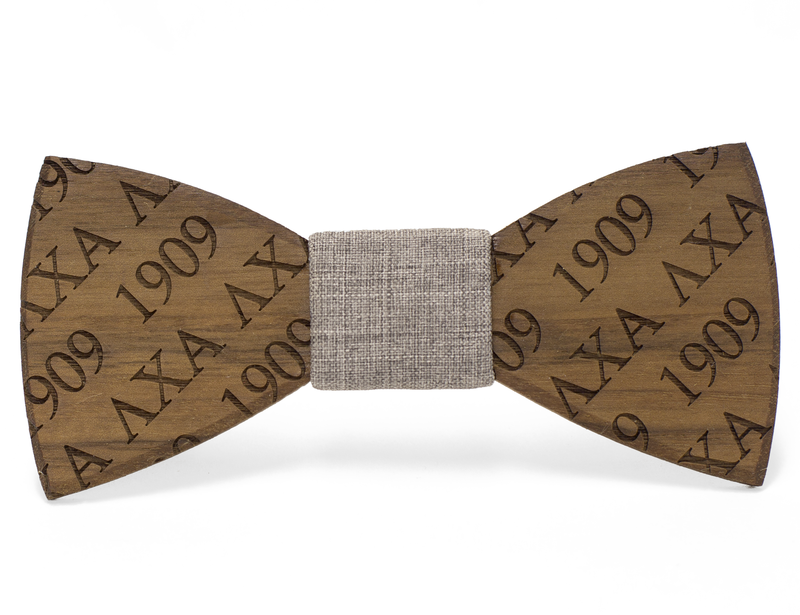 All of us here at Two Guys are excited to announce the launch of our NEW LINE of wooden bowties, the Fraternity collection. With three different design styles to choose from and three different wood types, the perfect combination is whatever you want it to be. You can find the listings for the standard fraternity designs here. However, if you prefer to mix things up a bit more, we don’t blame you. In fact, we’ll join you. 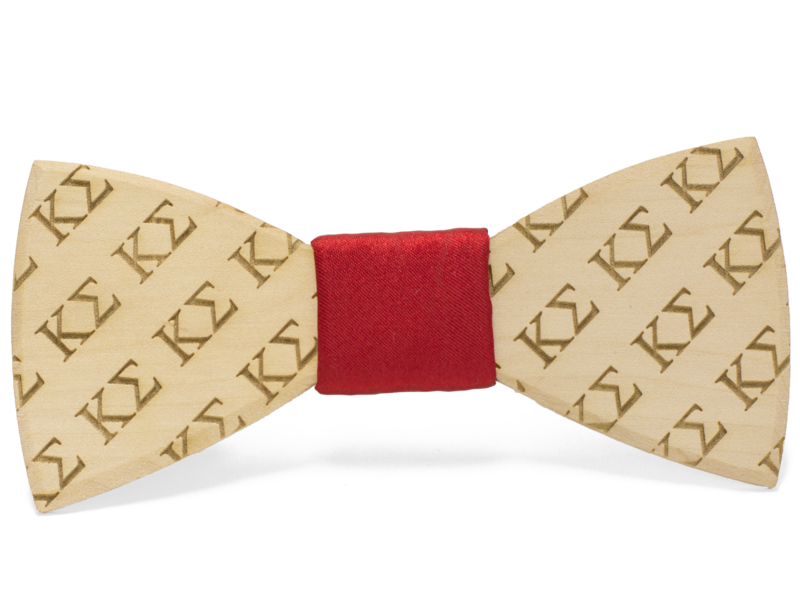 Simply visit our Custom Fraternity Bow Tie Builder by clicking here and we’ll interactively show you exactly what your bow tie will look like. Each fraternity we offer as the engraving options have gone through the official licensing process and has been approved by. So if you don’t see your Greek letters in the dropdown menu, don’t worry. Just send us an email at: cassie@woodenbowties.com and we’ll be happy to get the official licensing process started for you so we can get your bow tie made as quickly as possible. Another great thing about this new line, is we offer discounts if you and your friends want to purchase your bow ties together. That’s right. Find 3 or more friends who would like one too and you all get yours for less. Up to 20% off less. If you’re like us and love the way the Sapele wood engraves, but are bummed it doesn’t come with a matching lapel flower—don’t worry. We are currently in the production process and will be announcing it’s official arrival as soon as it’s live on our website. So sign up for our newsletter (we promise we only email you once a month with something we know you’ll want the inside info on—including special deals and promotions offered only to our most loyal followers) and make sure you’re following us on Instagram (@twoguysbowties) and Facebook (visit our page here) to make sure you don’t miss the announcement!